So, why do people think going to therapy is not something to be proud of or talked about? Why does publicly talking about getting help frowned upon? Or is it more accepted for those that identify as female to go to therapy then those that identify as male? Well whatever the reasoning might be, it is important to take note that there are 1000s of therapists all around us. For example, take a look at https://www.psychologytoday.com/and type in your city and see how many people pop up. 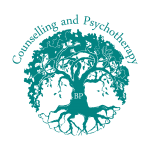 Ranging from counsellors, mentors, life coaches to psychotherapists, there are many professionals who have dedicated their time to help people. In addition, some companies offer an employee assistance plan (EAP), where they support their employees financially to seek help. There are also people who seek refuge with someone tied to a religious institution. But, lets get down to the bare bones, do we all not have that one person we might always call to share our thoughts, questions and doubts. Or just someone that we can vent to. If you don’t that’s okay as well. We might just reflect within ourselves or keep a diary. But … we also might not want to talk about anything and we distract ourselves with work, drinking, recreational drug use, diving into short term relationships or spending money that we don’t have. What ever it is, we as human beings have a human nature to interact and share with others. Whether those are healthy interactions, is another matter. From the moment we are born we get help. Help from the doctor doing the delivery to help from the caregiver providing us clothes, food and a safe shelter. When we enter the school system, we get help from teachers, students, principles and even social workers. When we enter the workforce, we sometimes get help from supervisors, managers, HR and peers. At any single point in our life, there is always someone aiding us. Even our hair dressers, mechanics, handy mans and bus drivers, these are all people that provide something to us in the form of help. So, lets bring it back to therapy. Why would going to therapy be considered something to hide? Maybe because it makes people look weak, maybe it makes people think their lives are so messed up they need professional help. Well as we can clearly see from my many examples, even though the world continues to grow and evolve, we as humans will also continue to grow and evolve. If its our barista we talk to every morning or our colleagues at work, we all have an inherent need to talk. So lets not label people who go to therapy as losers, because in fact, we are all losers. All losers who need someone to talk to and listen.